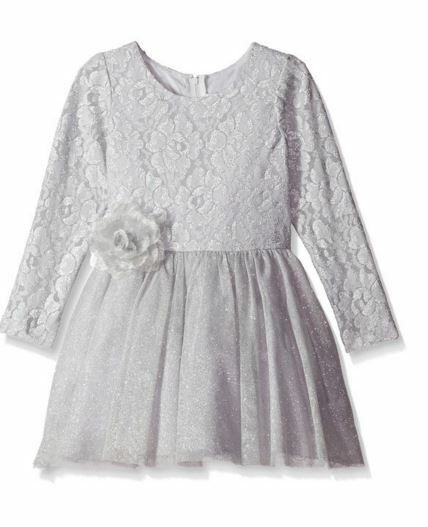 Gorgeous special occasion dress from Rare Editions features beautiful silver lace long sleeved bodice with tulle bottom. Fully lined. Back zip.